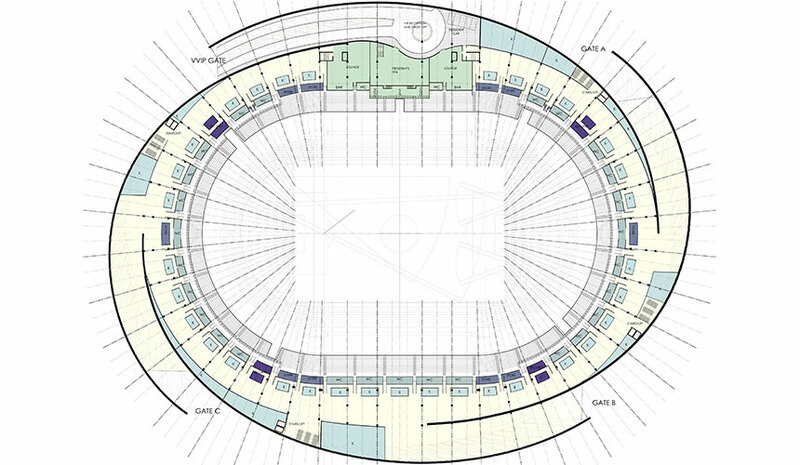 The unique spiral plan of the iconic Great Mosque of Samarra spiral minaret was taken as the starting point from which our design evolved as an interlaced rotating configuration of four ramps acting as the main means of access to the stadium. The result is a perfect marriage between form and function, cultural heritage and cutting edge design. Whilst retaining a visual connection with the Minaret, the stadium integrates modern techniques, in-depth knowledge of local environmental conditions and innovative sustainable design with a state of the art appearance that represents the character of the Salah Al-Din Province and Iraq.